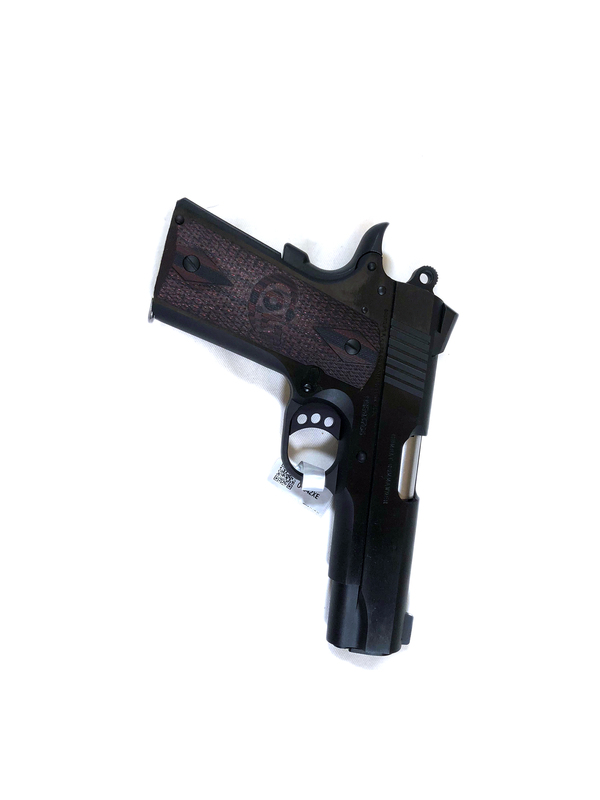 The New Colt Combat Commander® combines Colt history with modern innovation. Carbon Steel Blued frame and slide and Stainless Steel barrel are ready for rugged use. Dual Spring Recoil System reduces felt recoil while extending recoil spring life. Custom G10 Grips and Upswept Beavertail Grip Safety make for a capable carry gun that is equally comfortable on the range Also Available in 9mm.